Issues facing the Mormon Church: The Mormon Church doesn't give a sh*t about families.. 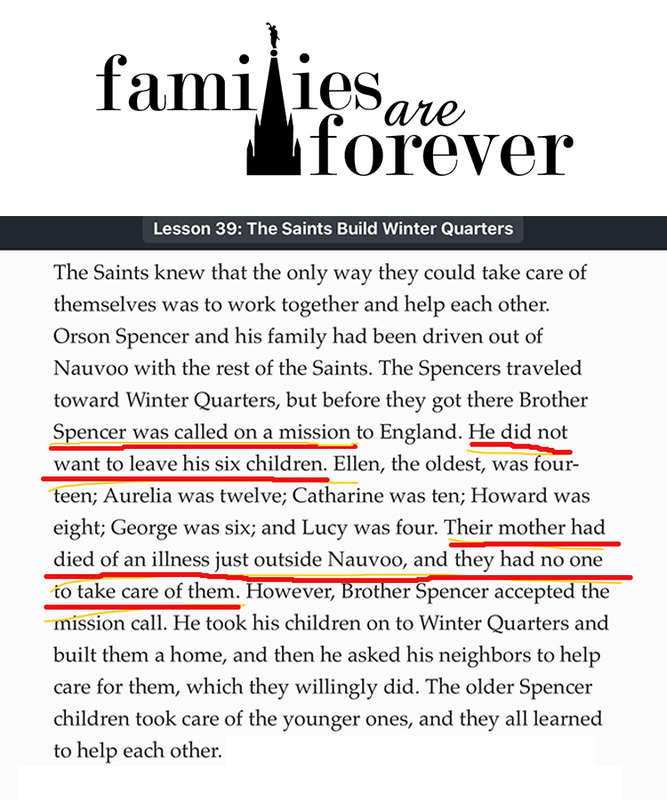 The Mormon Church doesn't give a sh*t about families.. The story is horrific, but by telling this story in 2017 in the Primary manual it implies that these kid's Daddy's could be called away from their families at any time. The lesson never says, "We don't do this any more".